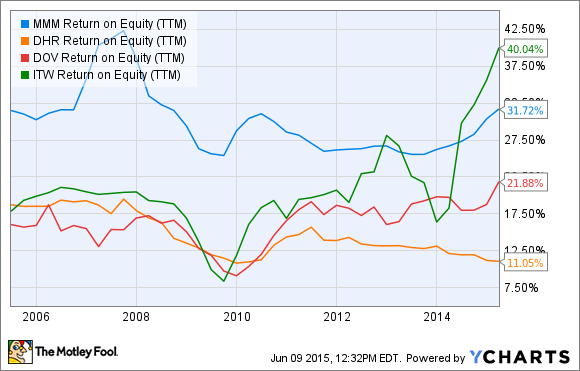 Is 3M Company (MMM) Stock a Good Value? 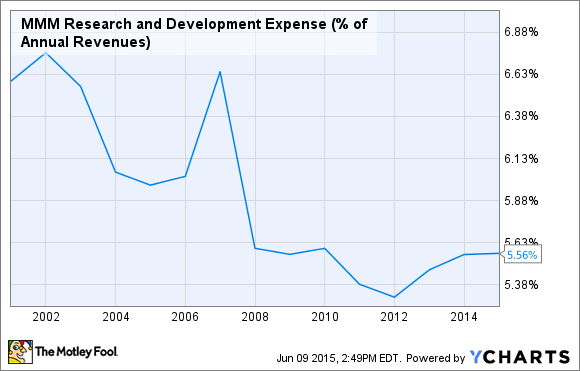 3M Company is a well-regarded stock, but what about its valuation? 3M Company (NYSE:MMM) is an exceptionally well-run business, but is it a great stock for your portfolio? It has industry-leading margins and productivity, but also a valuation to match. What it boils down to is whether you think the company can sustain the excellence of its execution. Let's take a closer look. First, a look at its valuation suggests that the company is priced toward the top end of its peer group. A trailing P/E ratio of around 20 looks to be a fair value for a company that tends to convert 90% to 100% of its net income into free cash flow. In other words, you can assume it's currently generating around 5% of its market cap in FCF. I prefer FCF as a valuation metric because it can be used to pay dividends or reduce debt. Another commonly used metric is enterprise value (market cap plus net debt) to earnings before interest, tax, depreciation, and amortization. This is a useful measure because it factors in debt, and here 3M Company trades toward the top of its peer group. There's usually a reason a company has a high rating, and at 3M it comes down to operational excellence. For example, it has a consistently higher return on equity (net income divided by shareholder equity) than its peers. In addition, a look at its segmental margins and return on assets, or ROA, demonstrates how profitable and productive its segments are -- in particular, its healthcare and consumer segments generated 35%-plus ROA with operating income margins above 20%. A brief look at its most recent results shows that all its segments are now generating 20%-plus margins. Moreover, each segment reported organic local currency revenue growth -- a point worth making, because foreign currency effects -- in particular, a stronger U.S. dollar -- reduced overall sales by 6.5% and took a 3.3% organic sales gain into a reported decline of 3.2%. For reference, management's target for full-year organic sales growth is 3%-6%. The company's underlying performance remains good, and management's financial objective of 9%-11% annual EPS growth implies continued solid performance. However, the company will need to preserve its margin and productivity to justify the current valuation. A key part of 3M's strategy is to invest in innovation to create differentiated products that can command pricing power in the marketplace. With that in mind, let's look at a couple of trends that help shed some light on whether 3M can continue to innovate and grow. First, a look at research-and-development expenses as a share of revenue shows that they increased a bit since 2012, but not significantly enough to suggest that 3M is having to ramp up R&D costs. Second, let's look at the trends in organic sales growth within the segments. Despite some patchy performance within its electronics and energy segment, it's clear that 3M has managed to consistently generate underlying sales growth. Source: 3M Company SEC filings. 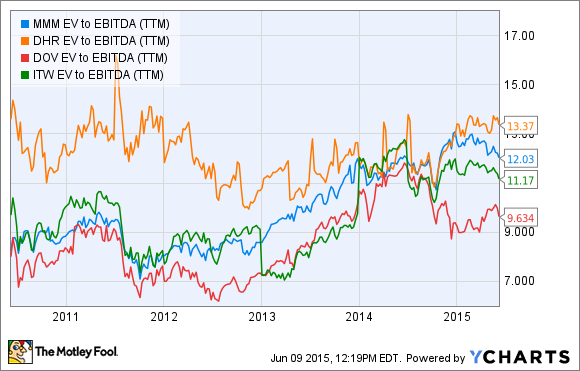 All told, 3M Company isn't a cheap stock, but quality rarely comes cheap. Provided you believe the company can continue to generate underlying sales growth while, at least, retaining its high margins and productivity, then the stock is worth a close look. Based on the evidence from looking at its R & D trends and organic growth, 3M appears to be on the right track. It may take a dip in the stock price to make it look like a good value, but when that happens, you know you'd be buying into a company with a strong track record of execution.